We are pleased to offer our campers and staff a food service operation that is surely the best in all of day camping. We have two separate air-conditioned dining rooms, one for our Junior Camp in the Mansion and one for our Senior Camp in the Clubhouse. 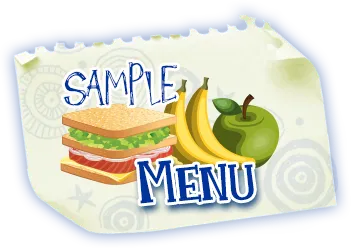 Our 10 Day menu provides plenty of variety and includes vegetables and fresh fruit offered at every meal. We strive to strike the right balance between kid-friendly and healthy foods to make sure our campers are replenishing their bodies during an active camp day. We can accommodate almost any food allergy or dietary restriction by working closely with our parents and creating individualized meal plans with our Head Chef and Group Leaders when necessary. All food served by Pierce is Peanut and Tree Nut Free and we offer myriad daily substitutes to our menu items. A morning snack is provided on a daily basis to all of our three to six year old campers, and all campers enjoy a refreshing afternoon ice cream break. Ice cream is served twice per week, and assorted ices are served three times per week.